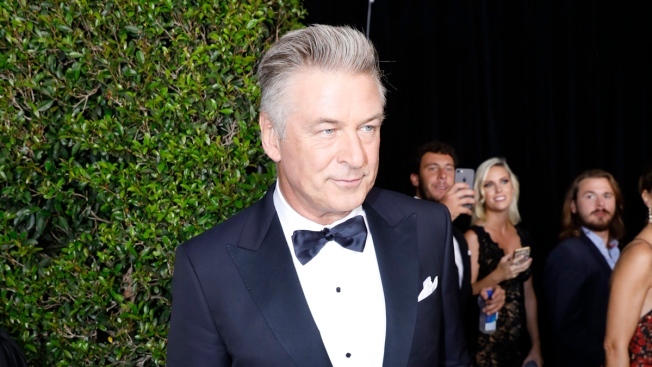 Alec Baldwin arrives at the 69th Primetime Emmy Awards on Sunday, Sept. 17, 2017, at the Microsoft Theater in Los Angeles. Alec Baldwin has settled a lawsuit in which he accused a prominent art dealer of fraud involving a 1996 Ross Bleckner painting. The actor told The New Yorker magazine that gallery owner Mary Boone agreed to write him a "seven-figure check" to settle his allegation she sold him a copy of Bleckner's "Sea and Mirror" rather than the original. "Maybe I'll have Ross paint a picture of the seven-figure check that Mary paid me to settle," Baldwin, who paid $190,000 for the painting, told the magazine. The parties informed a court of the agreement on Monday. Details of the settlement were not disclosed. Boone told the New York Post's "Page Six" column the dispute was fueled by sexism. "Just last week at the Paley Center, Alec Baldwin admitted to bullying women and treating women differently than men," Boone said. "This never would have happened the way it did if I was a male dealer." Baldwin told The New Yorker he plans to donate half of the settlement to help rebuild a Long Island cinema that was destroyed by fire.